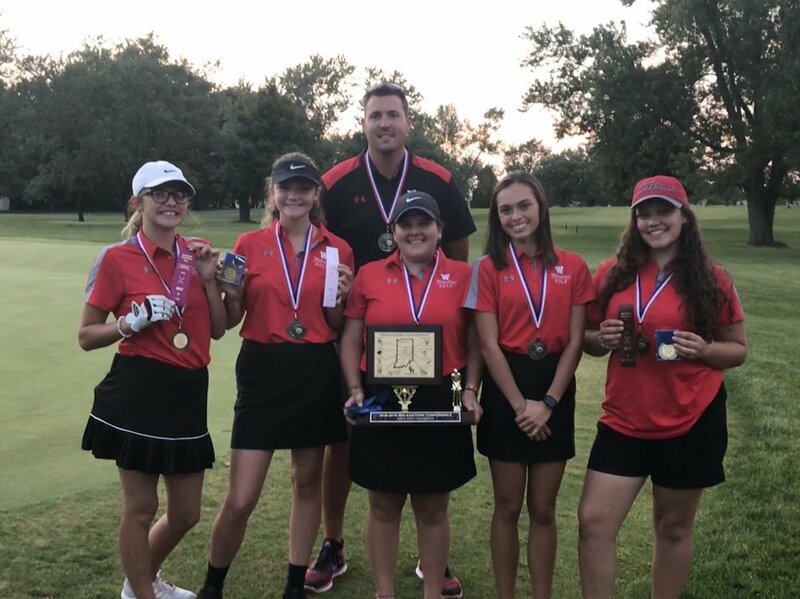 With the girl’s golf team competing in the Sectional tournament approaching, we sat down with coach Miller and asked him some questions. When asked about the best moment of the season thus far it’s hard not to mention the school record being broken 3 different times this year. This team was able to secure the new school record of 170. Senior Abby Snider has had her best season yet placing herself as a medalist at the Conference golf meet this year. Speaking of conference, the girl’s golf team was back-to-back Conference champions with senior Abby Snider shooting a new PR of 39. With the season coming to an end we look way back before the season started and how the preseason goals match up to right now. Coach Miller is impressed with the girls this season and says they are on track this year with their season goals. “Overall were on track this year, it would’ve been nice to see us take the county championship, but I know how we match up as a team and how much improvement we have made since then”, says coach Miller. The girls are looking to keep the momentum rolling at Sectionals and will compete against a lot of local teams. Coach Miller has high expectations for his team and is ready to see how his team competes. Come out and support the lady raiders at Crestview Golf Course, the ladies tee off September 15 at 9 a.m. Check out the full interview below and Good luck Raiders!